he Isis is the largest speaker in the Trenner&Friedl "Egyptian" sub-series, which also includes the Pharoah, reviewed by “High Fidelity” in February 2014, and the smaller Ra that is actually higher in the line hierarchy despite its size. 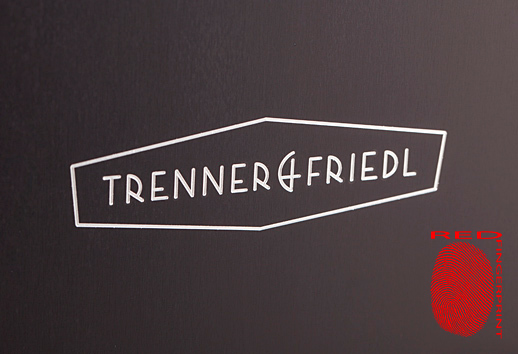 Trenner&Friedl also offers the less expensive Dizzy and Art, and the flagship no-compromise modular Duke, selling for just a bit less than 600,000 PLN. Against this background, the 95,000 Polish zlotys for a pair of the great looking, classically proportioned Isis may seem like a downright bargain. After all, it is the top high-end we are talking about here. Leaving aside the name game and looking at the design, it turns out that there is no other similar product in the Austrian manufacturer’s product lineup. The cabinet resembles a medium-sized wardrobe, and to me personally it is reminiscent of a ceramic kiln control cabinet, which was my diploma project in high school. The speakers’ weight matches their looks, and they tip the scales at 65 kg (each). When two nice men (that’s right, two of them!) arrived at my doorstep and hauled in two huge wooden crates to slide the Isis out not without much effort, I let out a weak moan, figuratively speaking, that is, since ‘boys don’t cry’! I could not really imagine how, after putting them on spikes, I would be able to move them around to find the best positioning for them. So I asked to put them on felt pads, in my mind already seeing myself gliding along with them on the floor, without much of an effort. If I only had a bit richer imagination, I would have associated the way the woofer is loaded in the Isis with the Pharoah (and the Ra) design, and drawn the only right conclusion: the bottom panels of both designs feature two outlets of the system that loads their big woofer. The distance of the outlets from the floor is, therefore, very important because it determines the lowest bass propagation. Hence, when placed directly on the floor, the speakers sounded a little too dull. Two centimeters of clearance between the bottom cabinet panel and the floor, provided by the spikes, completely eliminated the problem. The 380 mm woofer is one of the largest woofers that are used in home audio systems, though there are not too many equally massive drivers even in professional audio. It has a traditional paper cone, with characteristic ribbing to improve its stiffness, a huge magnet and massive cast basket. As I have mentioned earlier, in the Isis it is loaded into a system that we already know from the Pharoah. It is a combination of "bass-reflex and classic horn," to quote the words of Andreas Friedl, half of the Trenner&Friedl duo. 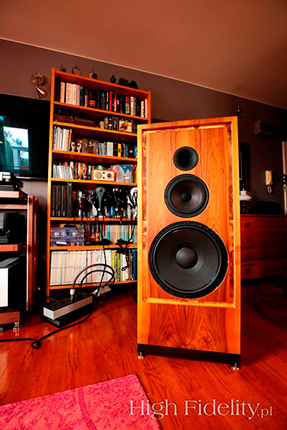 The midrange driver is very large, too; larger in fact than a woofer used in many floorstanding loudspeakers. It also has a paper cone, this time reinforced with fiber. It is loaded into its own chamber, which is not sealed, though. The rear panel of the chamber features drilled out holes, which suggest the presence of some kind of passive radiator. And then there is the horn loaded compression driver with a titanium diaphragm. We have heard it before in the Pharoah, but it is also used in the modular Duke. The speakers eventually ended up in the same exact spot as my Harbeth M40.1. If your speaker cables come with stiff and long connectors, the location of the speaker terminals in the Isis may be problematic. The quality copper Cardas terminals that are used here have a specific design and only accept spade connectors plugged in straight from the top or bottom. They are tightened with a single screw, which results in an even pressure. However, the terminals are located quite close to the floor, which is why I just barely managed to fit the spades of my Tara Labs Omega Onyx cables. Eventually, I put the speakers on the stock spikes, and those in turn on spike receptacles from Acoustic Revive. The speakers were positioned directly at me. The Isis are equipped with black grilles mounted on a wooden frame. They are fitted so as to form a whole with the front baffle. The speakers look interesting without the grille, too, as then you can see the drivers and large, wooden front baffle. It is surely a matter of taste, but I liked them more without the grilles. Alan Parsons Project, I Robot, Arista/Sony Music Japan SICP 30168, 2 x BSCD2 CD (1977/2013). Aquavoice, Memoris, Generator GEN CD 011, CD (2009). Billie Holiday, Lady Day, Columbia/Pure Pleasure PPAN CL637, 180 g LP (1954/2010). Chopin, Waltzes, wyk. Dinu Lipatti, EMI Records CDC 7 47390 2, CD (1950/1986). David Gilmour, On An Island, EMI Records 3556952, CCD (2006). Ella Fitzgerald, Ella Fitzgerald sings the Cole Porter Song Book, Verve/Speakers Corner Records MGV 4001-2,2 x 180 g LP (1956/2000). Jean Michel Jarre, Essentials & Rarities, Disques Dreyfus/Sony Music 62872, 2 x CD (2011). John Coltrane Quartet, Ballads, Impulse!/Universal Music LLC (Japan) UCCU-40001, Platinum SHM-CD (1962/2013). Miles Davis Quintet, Relaxin’ With The Miles Davis Quintet, Prestige/Universal Music LLC (Japan) UCCU-40005, Platinum SHM-CD (1956/2013). Mobley/Cohn/Coltrane/Sims, Tenor Conclave, Prestige/Analogue Productions CPRJ 7074 SA, SACD/CD (1957/2014). Morton Subotnick, The Wild Bull, Karlecords KR018, “Limited Edition of 500”, 180 g LP (2014). Skaldowie, Podróż magiczna, Kameleon Records KAMLP2, „Limited Edition 250 Copies”, 180 g Blue Wax LP (2013). Sławomir Kulpowicz, Sadhana, Polskie Nagrania „Muza” SX 2686, LP (1989). Have you ever wondered, what is the aim of audio manufactures in designing and then producing better and better components, speakers and accessories? Besides making money, that is, which is completely natural – we all work to make money. What do they want to achieve, what do they aim for? 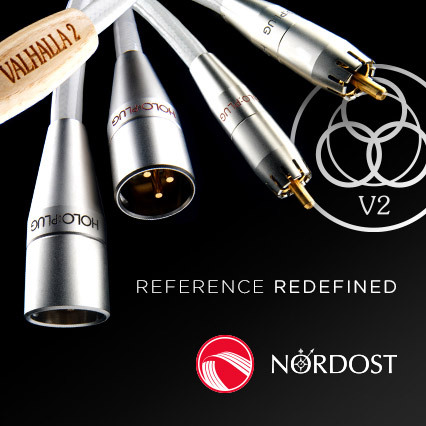 The answer that suggests itself is that they want to achieve an even better sound. This is a reasonable observation and one could stop there, were it not for another "obviousness": how to define the "better" sound and how is it characterized? "Better is just better," that’s it, which is actually true here. However, audio is a field full of trade-offs and design choices, whose result is a product being a combination of science and art, and hence by definition ambiguous. If a recorded event could be perfectly reproduced or copied, that is shown the same way it had been in the time of the recording, there would be no problem and everything that approaches that ideal would be "better", and whatever departs from it would be "worse." Unfortunately, in this respect the high-end is no different from audio equipment that sells for $300. This is in spite of the fact that the sound obtained from a properly set up audio system, which includes quality components, is incomparably better than that of a budget system. From the high-ender's point of view we are in heaven. However, since we start from a completely different level, the differences that can be noticed after upgrading any of the system components to a $20,000 more expensive one have as big an impact on the way we perceive music as those resulting from replacing a $300 amplifier for a $600 one. 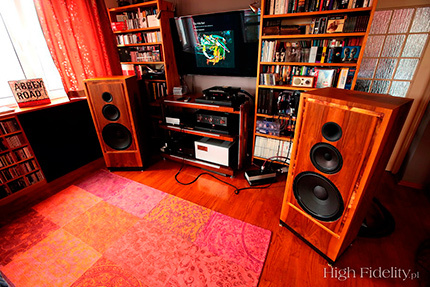 Pitting against each other the Isis and my reference Harbeth M40.1, which together with custom-made Acoustic Revive stands cost exactly the same as the Austrian floorstanders, was therefore a journey into the world of ambiguous choices and unambiguous changes. Plugging in the Isis instead of my Harbeth M40.1 brought significant changes in the many aspects of the presentation, changing the sound of my system. While both speakers have more in common than what separates them, the differences are very clear and it will not be difficult to pick up your favorite pair. To be honest, let me say that in many respects the Isis were the best speakers I’d ever had at home. For example, I’d never heard such a good soundstage. The speakers offer outstanding holography, showing a fully credible soundstage. My Harbeths are excellent in this regard, and other speakers that behaved fantastically include the Amphion Krypton3 and the Franco Serblin Ktêma. Nevertheless, the level of holography showed by the Isis was unbeatable; the best I’d ever experienced at home. I have long been irked at hearing a stereotype that is prevalent in the audiophile world (and only in it; the "pro" audio world is free of it) and says that it is small stand mount monitors that present the best soundstage, and if we are talking floorstanders then only those with a narrow front baffle. I eventually let it go when I realized that many music lovers may actually be taking something else for it. What I mean is that small speakers, with narrow front panels and petite woofers, can mask soundstaging problems. It is true that they can help bring out the edges and emphasize them. And that is, I think, what is usually perceived as "a clear soundstage." Well, it is not. The true soundstage is holography, imaging and drawing instrument bodies. Monitors (almost all of them, but for a few exceptions) can only guarantee imaging.